Mercure Melbourne Caroline Springs is located in the west of Melbourne in Caroline Springs. This property is 30 minutes from the CBD and is only walking distance from shops, restaurants & café. 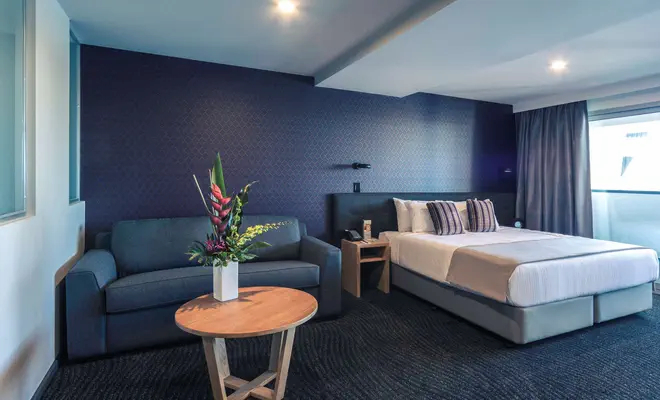 Mercure Melbourne Caroline Springs offers comfortable hotel style accommodation, a restaurant and conference facilities. Enjoy a truly blissful sleep in a Standard Room.It features an ultra comfortable Queen bed, 26 inch LCD TV, stylish furnishings and broadband internet access. 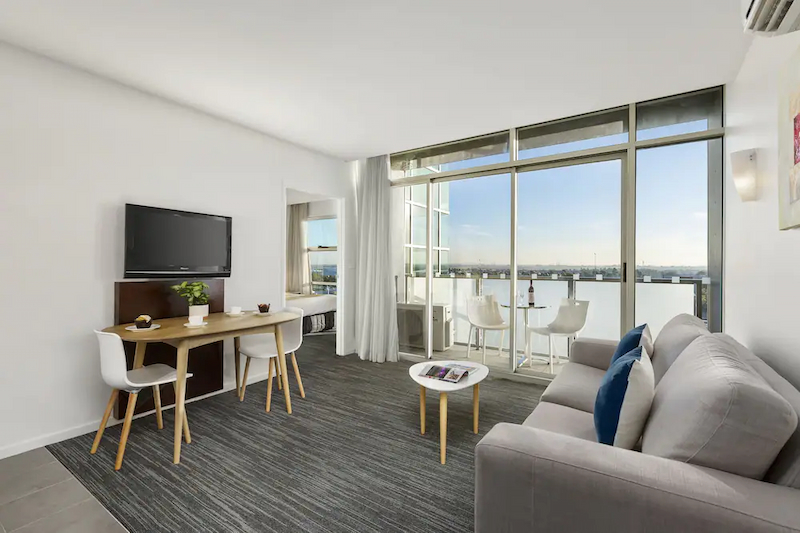 Make the most of the extra space in the stylish Superior Suite.With a separate living area and furnished private balcony, it offers an utlra comftorable King bed, 32 inch LCD TV and broadband internet access. The ideal choice for extra comfort.As well as the Superior Suite facilities, enjoy a balcony, gourmet tea, coffee machiene, bathrobe, slippers, complimentary internet, welcome chocolate, mineral water and a range of magazines and newspapers. Sink into pure relaxation in the spacious suite, featuring a separate living area, furnished private balcony, LCD TV, ultra comfortable bed, Internet access and a soothing jet bath in the bathroom.